I HAVE to tell you, I don’t usually plan on being predictable, but it’s so hard not to be when you’re celebrating Christmas, New Year’s and Valentine’s Day, and all you want to do is be cheesy and chirpy. 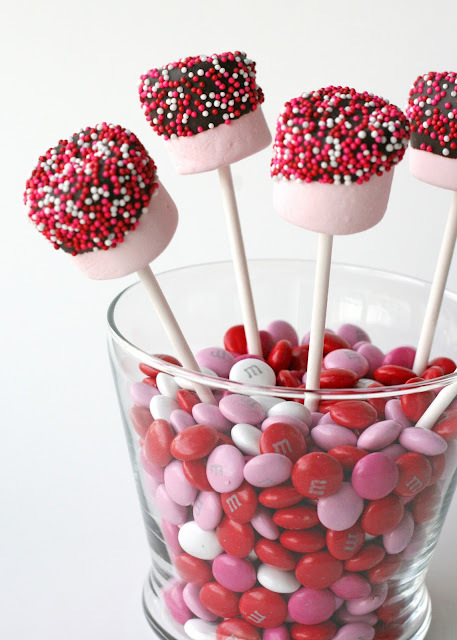 I tried to come up with a list of unexpected things to do for Valentine’s Day, but there is NOTHING that says LOVE louder than FOOD… and CANDY… and sweet sentiments like swearing off food for the next 30 years – or not being able to button your pants because you’re too full of love. So here I am, showing you Valentine’s Day inspired food in all my self-admitted, but unavoidable predictability. Simple, easy to make, and a fun twist on the boring old tea bag. 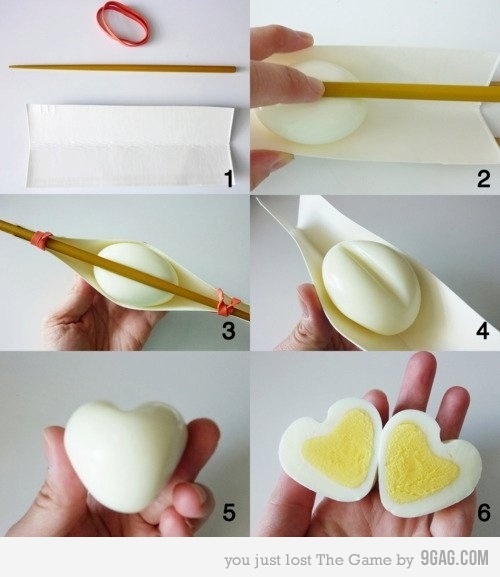 Note: Use edible markers so Feb 14 2012 won’t be remembered as the day you poisoned your Valentine. In case I’m being too subtle, guys, this step-by-step love recipe is for YOU. It’s so simple even an ageing seal could do it. I realise that having a sticky collarbone isn’t exactly ideal for a romantic day, but I just thought these marshmallow necklaces brought a childhood sweetheart nostalgia to what is otherwise a somewhat tired and conventionally adult occasion. I thought these marshmallow pops looked and sounded delicious, but it was the Valentine’s Day M&Ms that really clinched the deal for me. Buy enough to fill a bath tub and bathe in the love! Last but not least, how can anyone forget the saviour of shabby mornings and the crux of the Melburnian culture? C.o.f.f.e.e. 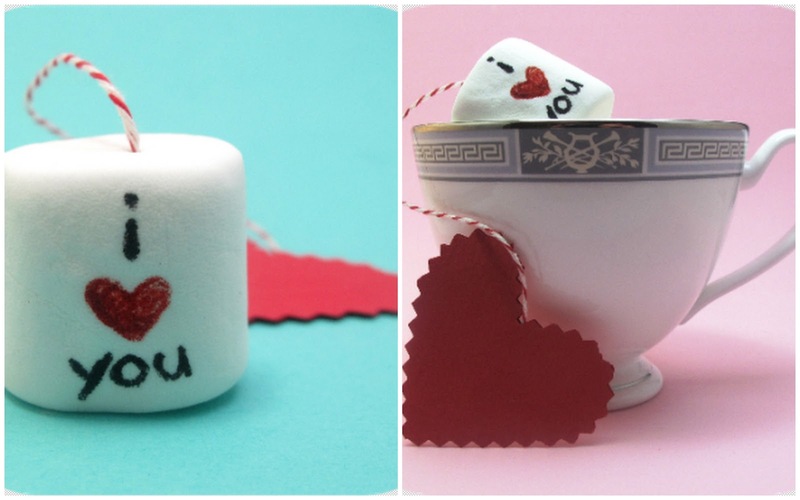 You might have noticed that I chose to mention marshmallow items a lot. That’s because they’re a reflection of my own ability to prepare marshmallows for my nearest and dearest without accidentally incinerating someone, which is much more likely to happen if I attempt recipes that require sifting or whisking. PS – for more ideas, Belinda has also produced a Valentine’s Day Guide filled with exciting ideas about what to do, what to wear and where to go on this special day. It’s worth almost 20 days of blog posts – plus, you can get it all for free. Belinda Tan gets excited over smiley faces and creative ideas. In her spare time, she trains to be a ninja, wonders about the genetic similarities between unicorns and rhinoceros and enjoys discovering new hiding places. She also sneezes in even numbers, doesn’t like coconuts and uses spell checker to spell rhinoceros. She also chronicles her adventures on her blog.